On July 10th, 2018, less than three months before the release of FIFA 19, Juventus announced that it had signed soccer superstar Cristiano Ronaldo from Real Madrid for $110 million. The timing made sense -- at 33, the Portuguese forward is entering his twilight years -- but the move still came as a shock to many, including Electronic Arts and the FIFA team in Vancouver, Canada. "We didn't get a heads-up," Sam Rivera, lead gameplay producer on FIFA 19 said. "It wasn't like, 'hey Ronaldo has actually signed a contract and it will go live tomorrow.' No. We heard at the same time everybody else did." EA is used to transfers and can quickly update its squads in-game. The Ronaldo move, though, was challenging because the player featured in The Journey, FIFA's ongoing story mode. Last year, the game's fictional hero, Alex Hunter, played against Madrid during a pre-season tournament in the US. He lined up with Ronaldo in the tunnel, who remarked: "Alex Hunter, right? You looked good last season, kid." At the end of the match, the pair exchanged shirts and the famous finisher said: "You're really starting to make a name for yourself. Maybe you should come play for Real." Shortly afterwards, Hunter was teased with a move to the footballing giant. It was quickly revealed to be a farce, however, set up by a phoney agent. Hunter, desperate for club, joined LA Galaxy instead and competed in the MLS Cup before making a dramatic move to either PSG, Bayern Munich or Atletico Madrid. Ronaldo and his Real teammates didn't appear again. In FIFA 19, Hunter will finally join the legendary Galacticos. He will play alongside a host of club legends including Luka Modric, Toni Kroos, Sergio Ramos and Marcelo Vieira. The wonder-kid won't, however, step onto the pitch with Ronaldo -- not as part of Los Blancos, anyway. A few months ago, of course, the Portuguese superstar was still part of the campaign. EA won't say what his role was exactly -- he could have been a pivotal character, with a wealth of important voice lines, or a background player that's merely visible in the dressing room. Regardless, he was there. "We always need a plan in case a big transfer happens." And then, suddenly, EA had to take him out. "We always had a plan," Rivera said. "We always need a plan in case a big transfer happens. So when the entire story is designed, we always ask ourselves, 'Okay if this player moves, what are we going to do?' and then there's a plan B." That solution, at least right now, is unclear. 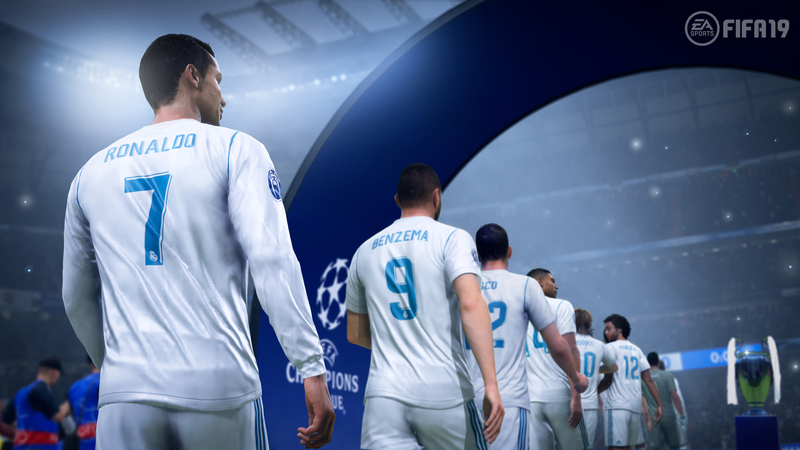 At Gamescom 2018, the publisher offered a short demo of this year's campaign, called The Journey: Champions. It starts with Hunter and his best friend, Danny Williams, goofing around on a video call while the Champions League draw is broadcast on TV. Hunter's new agent, Beatriz Villanova, later walks over and asks if he would like to participate in a Say No to Racism event with Kevin De Bruyne, Neymar and Ronaldo. "I'm in!" Hunter replies excitedly. The scene isn't shown, however. Instead, the demo switches to the Real Madrid dressing room, where Hunter is preparing for a Champions League tie with Manchester United. It should be an important scene filled with fun, emotional, or pressurizing remarks from the other squad members. But nobody, aside from a fictional member of Madrid's coaching staff, says anything of note to Hunter. He performs an 'El Rondo' training drill in eerie silence before walking down the tunnel and onto the substitute bench. 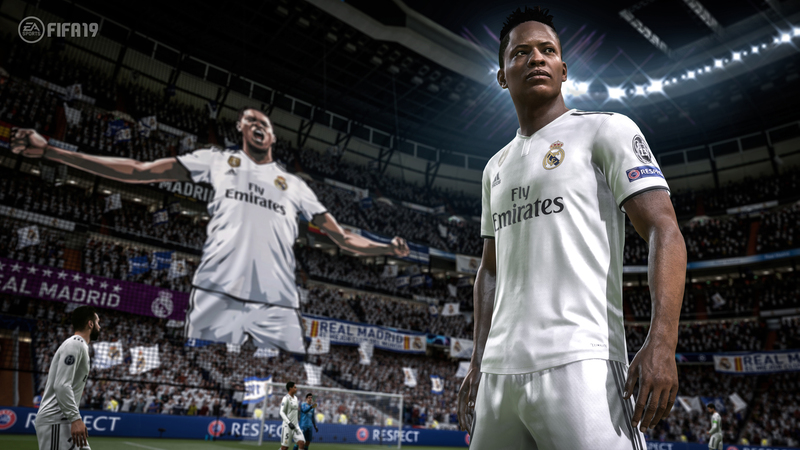 Fictional star Alex Hunter plays with Real Madrid in FIFA 19. Here, the game switches to FIFA's traditional match gameplay. Hunter is brought on part-way through and, like previous instalments, asked to hit a series of targets before the final whistle blows. In this case, it was score a goal, win the match, and achieve a match rating of 8.5. Unfortunately, I managed none of these, leading to a tame post-match interview that focused on Hunter's "first taste of Champions League football." "When [the transfer] was confirmed, right away the team jumped into trying to update the scenes, with Ronaldo, and in other areas, just making the transfer to Juventus," Rivera teased. "When [the transfer] was confirmed, right away the team jumped into trying to update the scenes." Thankfully, the latest season of The Journey covers more than just Real Madrid. Last year's campaign introduced Kim Hunter, Alex's younger half-sister, and let you play her debut game in the The United States women's national soccer team. In addition, you were able to play as Williams while Alex was injured in the latter part of the season. In FIFA 19, all three characters -- Alex, Kim and Williams -- will have a storyline that spans the entire season. A menu in the Gamescom demo suggested that you could save and switch between the three characters at any time, too. 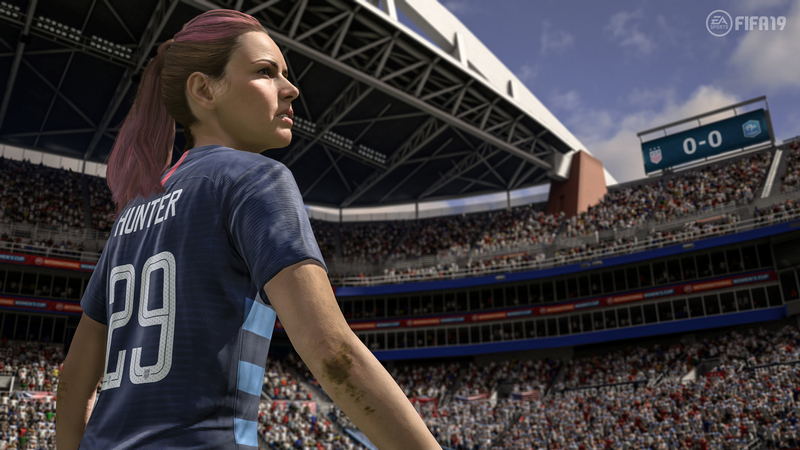 Alex's half sister, Kim Hunter, aims for World Cup glory in FIFA 19. "For us, every year, we try to put something in there to make sure that there's women representation in FIFA," Rivera explained. "And this year it comes through Kim Hunter." In FIFA 19, Kim will be graduating from high school and competing in the FIFA Women's World Cup. Williams, meanwhile, has to master a position he's not familiar with: target man. Alex's journey is a little more mysterious. Rivera hinted that he'll be making tough choices that impact his work-life balance. And that by the end, the Real Madrid newcomer will be facing a "huge decision." Whatever that may be, it's safe to assume it won't involve a certain Portuguese footballer inside the Santiago Bernabéu Stadium.